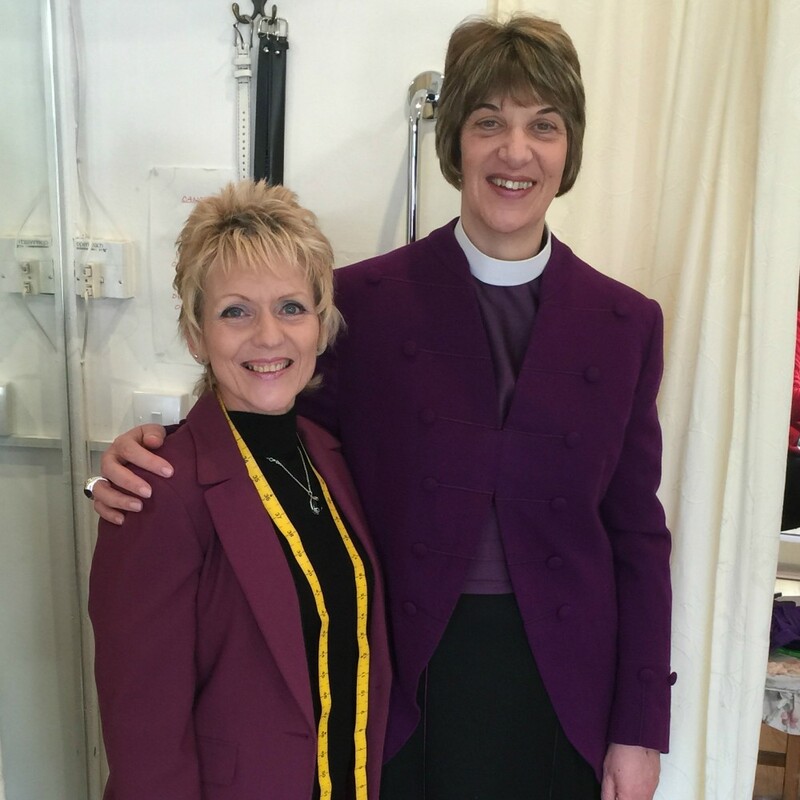 A Gloucester tailor has made history by designing the first set of female Bishop’s formal wear for the Bishop of Gloucester, the Rt Revd Rachel Treweek. Bishop’s formal wear has traditionally been exclusively worn by men, but with the appointment of Bishop Rachel as first female diocesan Bishop last year, a new design opportunity has arisen. Tailor Julie Mortimer who owns Busy Needle in Gloucester restyled a previous bishop’s jacket to give it a more feminine line. She also designed and made two blouses, three cummerbunds and a skirt. She also gave Bishop Rachel a set of antique collar studs which belonged to her grandfather, to complete the ensemble. Bishop Rachel wore her new outfit to the Lord Mayor’s dinner to the Archbishops and Bishops at Mansion House, London last week. In, out, shake it all about!